In this business, it helps to have some friends. 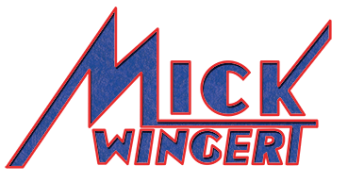 Each week, voice actor, Mick Wingert brings together some of the best up-and-coming voice actors working in the business today to hone and sharpen their skills in a small, private coaching community. More than a workout, the VO Community is a place to belong, to practice, to sharpen and to grow together as voice actors and share in the pursuit of the voice over industry. Some members of the community have made significant business relationships and even friendships in Mick's weekly workouts and other offerings. Memberships are offered monthly and are currently limited to 6 people per session, per month. Contact Mick Wingert below to reserve a spot in the next month's opening or to get on the waiting list. Becoming a monthly member of the VO Community gives you access to Mick's unique workout-workshop offerings once a week for a total of up to four per month. Unlike classroom instruction, the VO-Comm workout is VERY hands-on and features no organized curriculum. and unlike a workout group - the focus is not only on practice and critique, but on skills development and education. In each hybrid session you'll get two-and-a-half hours of working on fresh copy and honing the craft of VO among other professionals. Sign up now for our next offering. * Sorry, no refunds for sessions missed. All sales final. Reasonable accommodation will be made within the same calendar month to provide a make-up opportunity for missed sessions. Teacher approval required to participate in these offerings.